The DRVL non-contact torque sensor series manufactured by ETH Messtechnik in Germany builds on the existing DRFL series with some significant improvements. It’s integral signal conditioner now outputs 2 standard signals of (10V and 10kHz ± 5kHz) with a bandwidth of 200Hz as standard, while a conditioner with a 1kHz bandwidth is optional. The output level for speed and angle signals can now be adjusted from 5V up to 24V making it compatible with PLC acquisition units and many more evaluation devices. Accuracy is guaranteed to <±0.1% of the rated capacity and there are also higher accuracy versions available to <±0.05%. 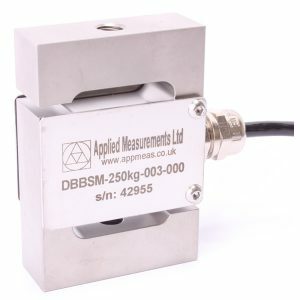 They feature extended surge tests to ensure better electromagnetic compatibility protecting the sensor from unwanted electromagnetic interference and damage. The DRVL series non-contact torque sensors are directly compatible to the established DRFL making installation fast and simple. They can also be supplied with customised couplings to ensure that you achieve the best possible torque measurement whilst making the task of installation as straightforward as possible.